One would have thought that playing with home field advantage would help elevate the team to perform taking on a team that is winless in the last three outings. Entering the game Lulay was 19-2 when starting at home, but this night he was unable to pull off the win, finishing with 18-for-29 for 216 yards with one touchdown and one interception. Playing on a Thursday night had many questioning the game choice, but it’s something that was worked out and the fans have to live with. It was interesting to see the top receiver and top rusher in the CFL face go head to head with, but both defenses held the players to minimum yards. SJ Green had only three catches for 19 yards while Lions Andrew Harris was held to ten yards on eight carries on the night. 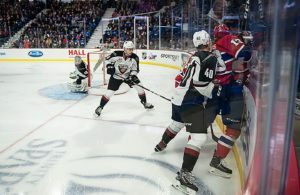 The Alouettes thought that their running game would work to their benefit, but on their first long drive down field, they managed 55 rushing yards on eight plays, then gambled on third downs (twice) to advance up the field. Cato found Nik Lewis for a 16-yard TD but a missed extra point managed to put the Al’s down by one. The Alouettes subsequent possession saw Tyrell Sutton rush for 54 yards moving his team to the BC 49-yard line. Boris Bede nailed a 25-yard field goal attempt a short seven plays later putting Montreal up 9-7 with 11:20 remaining in the second quarter. The Lions had an opportunity to pull ahead at the end of the quarter, but Richie Leone’s 48-yard field goal try was wide and sent BC to the locker room down by two at the half. Montreal second drive of the quarter started with Stefan Logan running for 23 yards that lead to Bede kicking a season high 50-yard FG with 3:21 remaining in the quarter to put his team up by five. BC finally generated some offence near the end of the third as Lulay found Arceneaux for a 12-yard TD with zero time left on the clock. 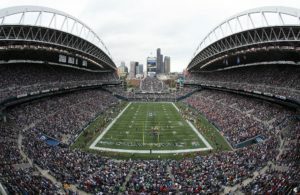 He failed to complete the two-point conversion that could have given the Lions a 13-12 lead entering the last quarter. 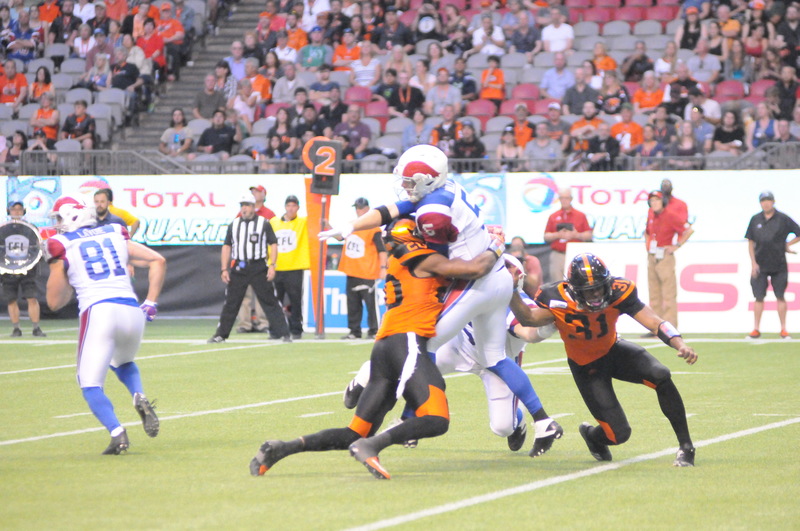 The Leos’ first turnover proved costly when Lulay’s pass was intercepted by Dominique Ellis that saw Montreal take possession at the BC 30-yard line. Montreal capped off the short drive as Marsh rushed for one-yard into the end zone for a TD to regain the lead. The Al’s completed a successful two-point conversion as Marsh connected with Sutton extending their lead to 20-13 with 6:35 left in the fourth. Montreal put the nail in the coffin when Bede made his third field goal of the night from 32 yards out with 12 seconds remaining to end the game at 23-13. 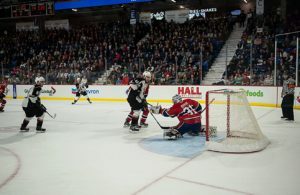 All in all, it was entertaining, now BC has to get back to the drawing board! BC’s next home game is September 13th at 1 pm at BC Place Stadium. Regardless of the win Montreal Alouettes owner Bob Wetenhall made it official and announced that he has relieved/released Tom Higgins of his Head Coaching responsibilities. “General Manager Jim Popp will take over the duties of Head Coach for the time being and the management and I have full confidence in Jim, as do our players,” said Wetenhall. Let’s see what’s next in the Al’s playbook?